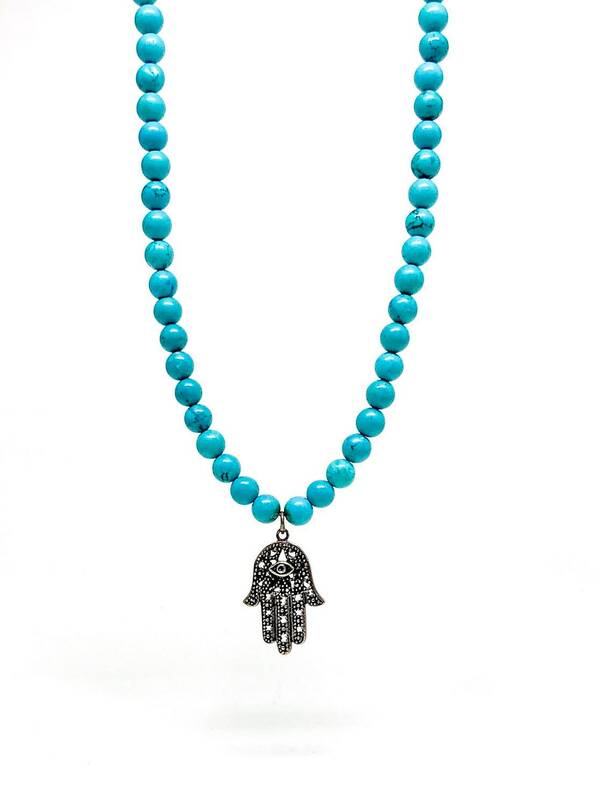 Men's beaded necklace made with Turquoise and 925 Silver Hamsa pendant. Men’s beaded necklace handcrafted in New York. 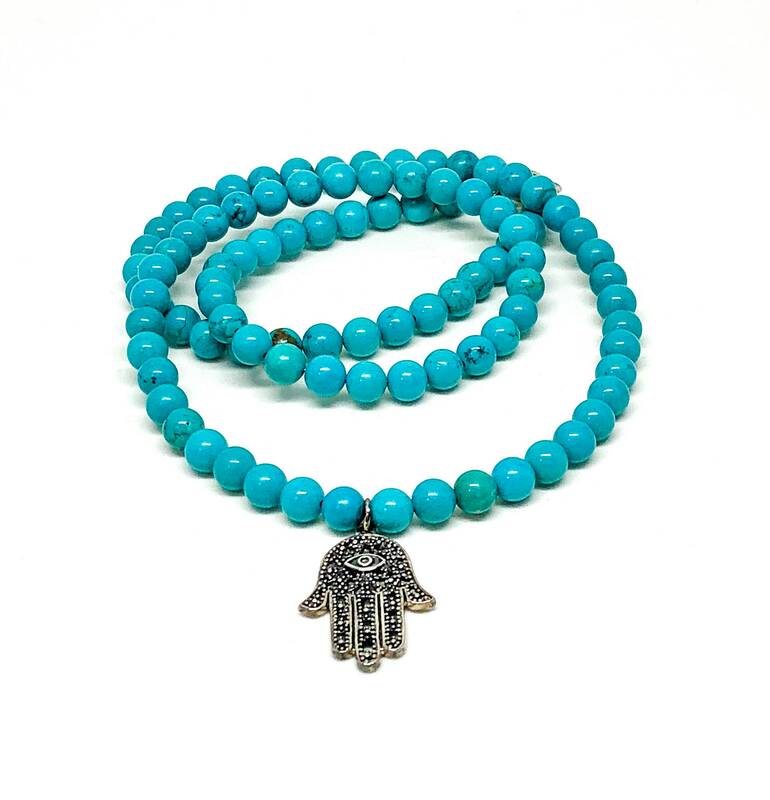 Beautiful turquoise 4mm with 925 Silver large detailed Hamsa with Evil Eye. Spiritual jewelry. Hamsa is 28x18mm with soldered ring. 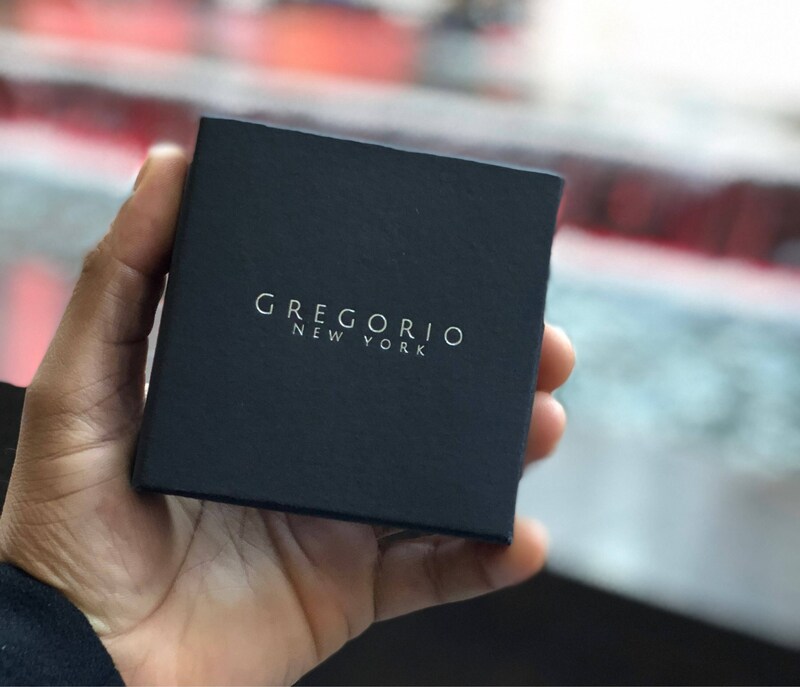 It comes in a jewelry box customized with our logo.